Back in late 2007 Bioware released the original Mass Effect as the first of a three-game trilogy set in a fictional universe not all that different from our own. Well, besides the fact that we were a minority race amongst many in the Milky Way galaxy and used Mass Relays to travel the huge distances. 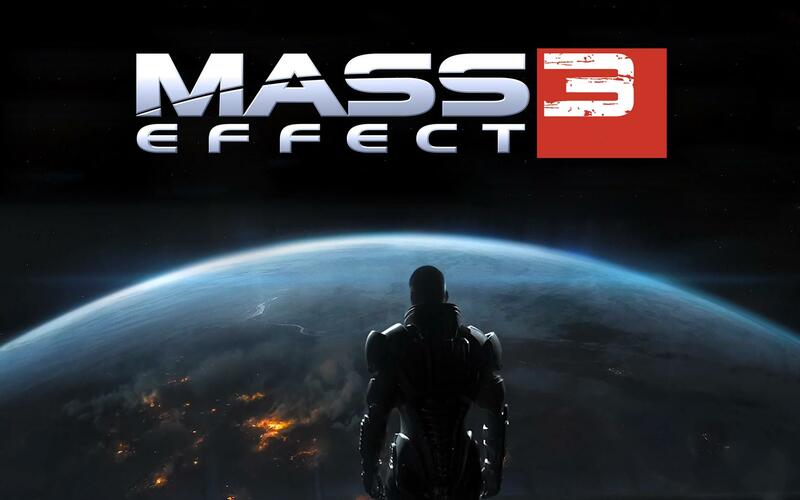 Mass Effect 3 is the third (obivously) and final (by their estimation) game in this trilogy about a soldier named Shepherd and the galaxy’s battle against the mechanical menaces known as the Reapers. However, you probably already know that. Let’s get into one of my Patent-Pending Short Reviews. Keep in mind, I played through under Role Playing and with a new game (as I did on the previous two games). Also, THERE ARE SPOILERS BELOW. music is effective if sometimes a little bit too hidden — you are not going to be getting any catchy tunes out of this game, but that isn’t the point. If you liked the first two games you are going to like Mass Effect 3, and even if you didn’t you would probably still like the game a lot if you enjoy good storytelling with good gameplay tacked on. I did not play the multiplayer because … well … Mass Effect is a single player game. Honestly, I liked it. I’m purposefully not going to read much of what other people are saying about the ending because, to me, the ultimate choice at the very end is perfectly fitting for what Bioware had been doing from the very beginning. The focus was on the choice to be made and what kind of “Shepherd” you wanted to be. I chose to destroy the Reapers because that is what I was there to do. I might go back and replay all three of the games in order to try and fix a lot of the poor decisions that needed to be made, but even then, I am satisfied with the ending. When given all three of the choices (control, destroy, or merge) it reflects on the universe that Bioware created as a whole. It started as a cut-and-dry organics vs synthetics romp through the first game and then began to blur a little bit with the second while Mass Effect 3 has you able to bring the Geth to your side to fight with you. I’ll just stop while I’m behind. I would recommend it to almost anyone, but it is a MUST PLAY for any fans of the first two. Ideally, you would play the first two games and then come into the last installment with all of the baggage.